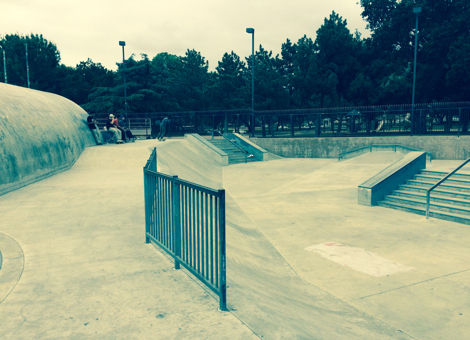 Upland Skatepark is located between Hospital Way and Grove Avenue. 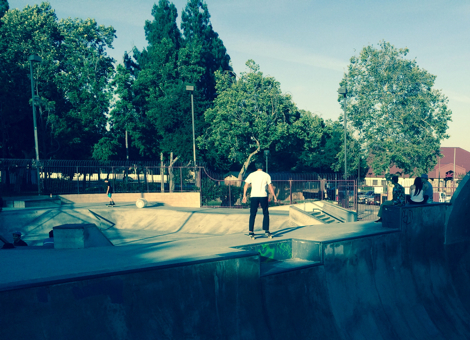 The Upland Skatepark is modeled after the Upland Skatepark of the 1970's. 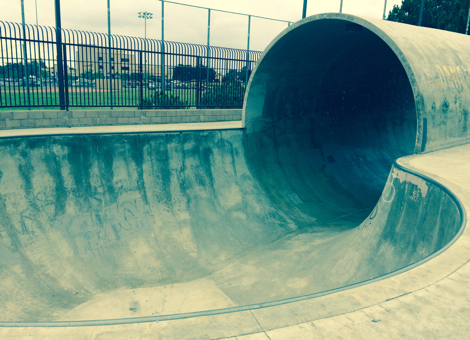 The full-pipe run starts in a mini-ramp style take-off point, drops you into a large half-pipe with metal coping, into a 20 foot full-pipe and dumps you into a large vert bowl. 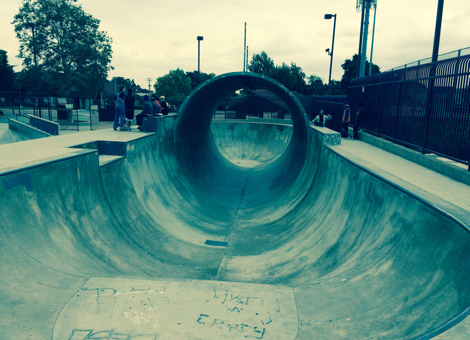 If you're a skateboarder who likes speed, then this is your skatepark. 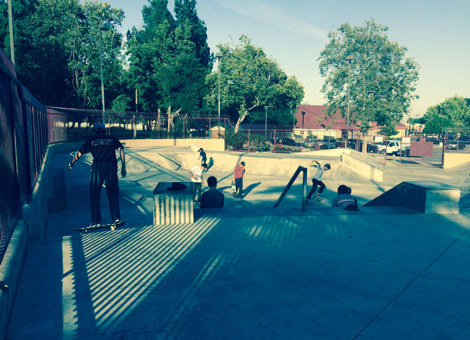 The street area is set up with some nice banks. Helmets and safety gear must be worn at all times.